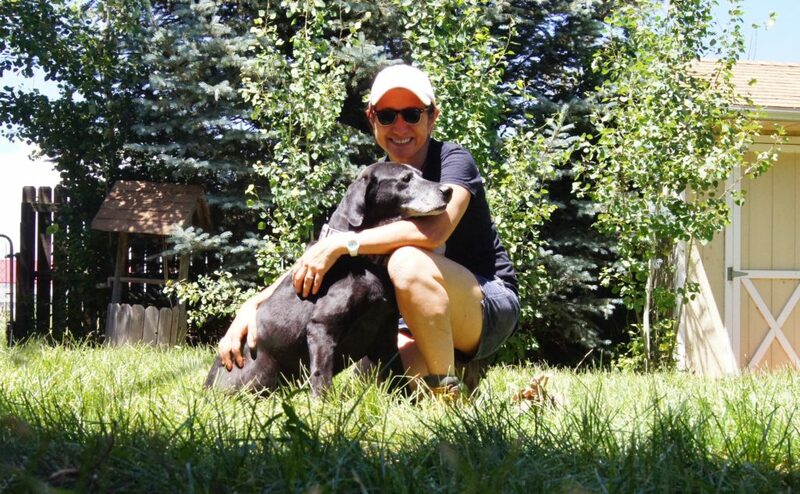 I took that photo in October 2007 of our then-employee, Elena C., and Cotee, a three-legged dog she had just adopted from us when we were at the ranch in Montana. Elena already had one three-legged dog in the family, so Cotee made two! 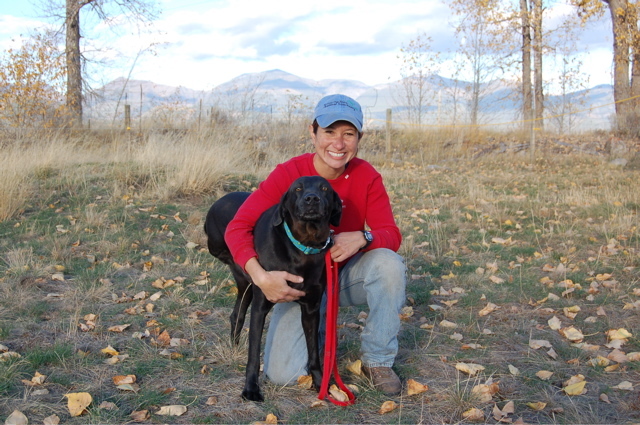 Elena had volunteered at the ranch and later became an employee, and then decided she wanted to go to vet school. So I photographed Elena and Cotee on her last day with us before she began taking the classes at the University of Montana in Missoula she would need to apply to a veterinary college. Fast forward a bit … Elena went to Ross University on a full-tuition scholarship and graduated with her DVM degree, then moved on to one of the best veterinary schools in the country, Colorado State University, where she earned her Master’s degree, and is now in a Ph.D program at Colorado State in veterinary clinical sciences. 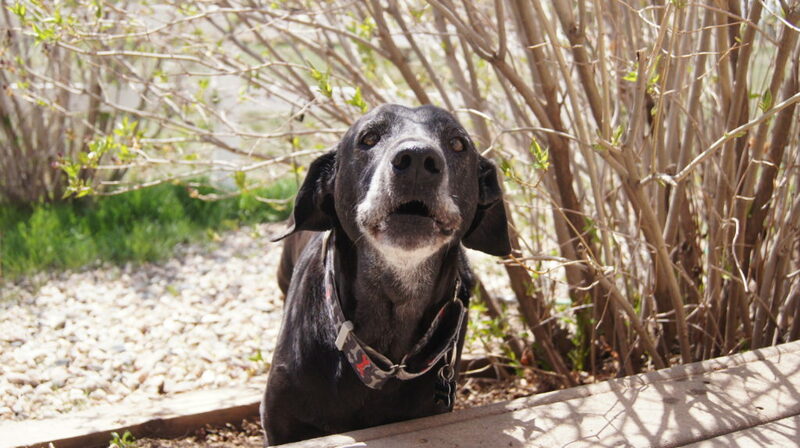 Sweet and handsome Cotee, who is now something like 15 years of age, has been at Elena’s side the entire time. It turned out to be very fortunate for Cotee that Elena became a veterinarian at a prestigious veterinary teaching hospital, because in recent years he developed a series of life-threatening illnesses that required state-of-the-art veterinary care. 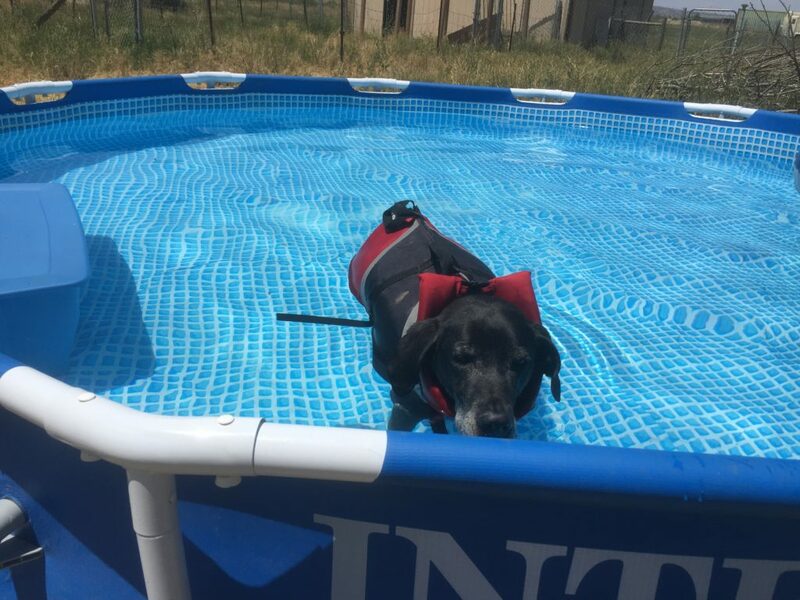 Can you think of a better place to work than Colorado State’s veterinary teaching hospital with a beloved dog going through all this? So there you have it … a wonderful happy ending, still going strong over a decade later! What a terrific story!! She is so lucky that she was in a position to get such care for her friend. He’s been through a lot, but sure looks like he’s one happy dog. She still has her friend and he’s saying he’s so proud of his Mom, the vet, who took such good care of him! Congratulations are in order for both of you, I believe. Cotee sure has had a string of bad luck health-wise, but he is extremely lucky to live with a veterinarian. Here’s hoping for a long healthy stretch now. Thanks for the update and the wonderful pictures! What an incredible journey for both! Great story. Thanks for sharing. So glad you two have had so many wonderful (sometimes challenging!) years together. I remember that picture very well! Thanks for sharing this inspiring story! It would be interesting to read more stories from your Montana days. People and dog stories. And how about an update on some of your adoptees? What an amazing story!! This makes my heart full of hope in the world of rescue. LOVE…LOVE..the pictures. LOVE….LOVE…LOVE every picture and the journey. Look what you all made possible. Just beautiful.